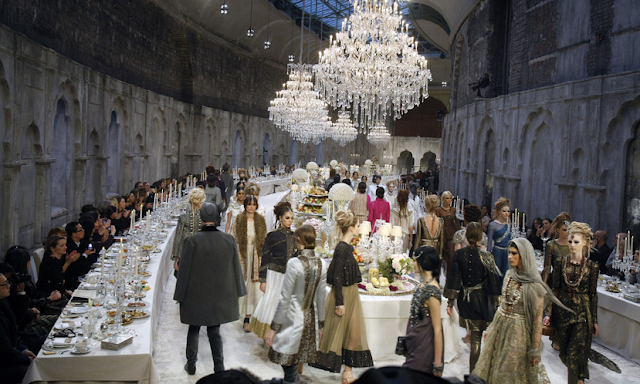 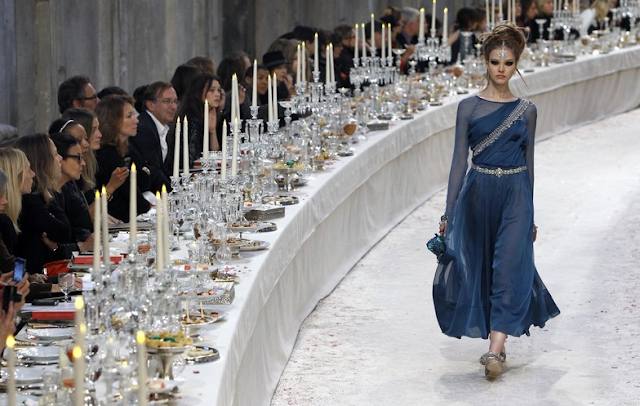 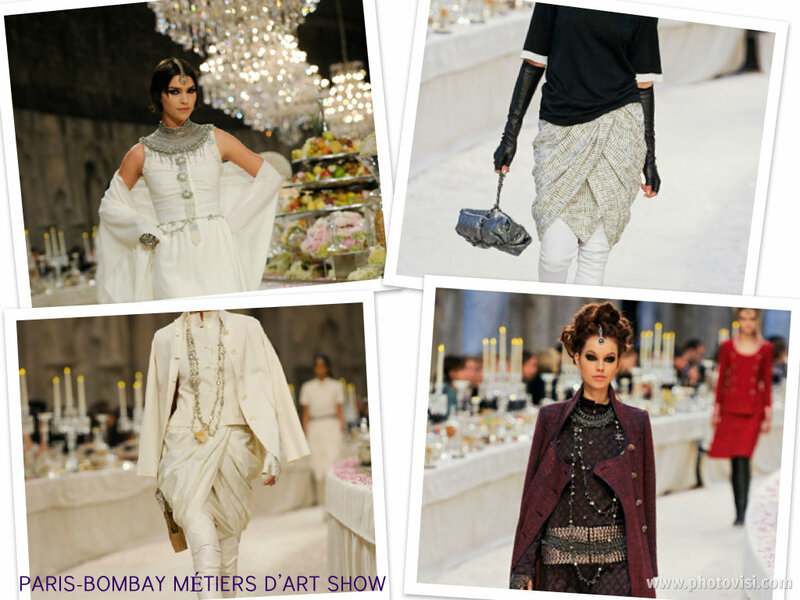 Speaking of opulence: yesterday, Chanel held its fashion show launch invoking India for the first time in Chanel history called, Métiers D'art Show. The French fashion house's Creative Director predictively had no problem, as per usual to deliver an awe-inspiring collection; Lagerfeld was able to infuse the classic aesthetic of Chanel—that has become synonymous with his name since he started his tenure back in 1983—with the elaborately ornate style of traditional Indian garb. 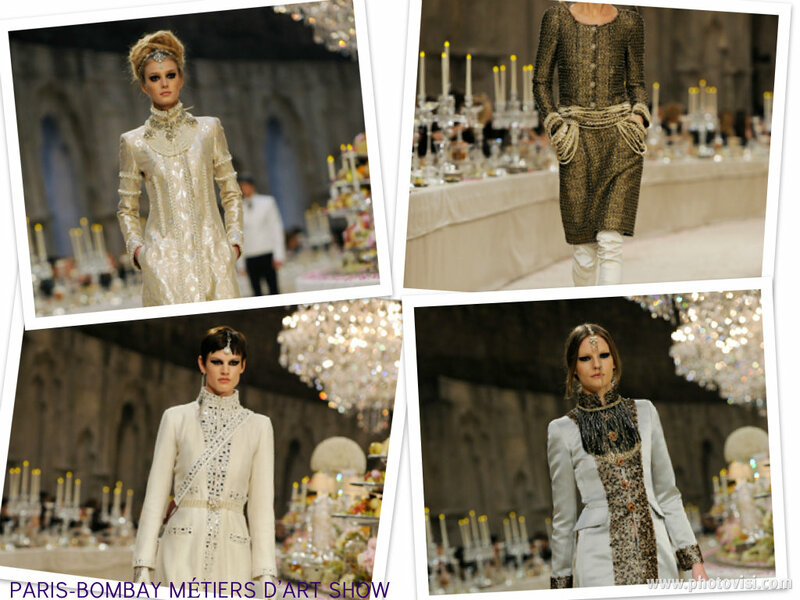 Although the 78 year old fashion genius admits to not having any actual true knowledge about India or the Indian culture, permitting that," India for me is just an idea; I know nothing about [its] reality," revealed Lagerfeld. And yet even with such candid recognition, one might never know: Perhaps because the Indian motif is the perfect inspiration to influence the brilliance of the German fashion designer's philosophy: full of intricate details, interesting layering techniques—particularly with the dress over pant combination —one of Lagerfeld's favorite looks, when executed with modernity and stylistic intelligence. 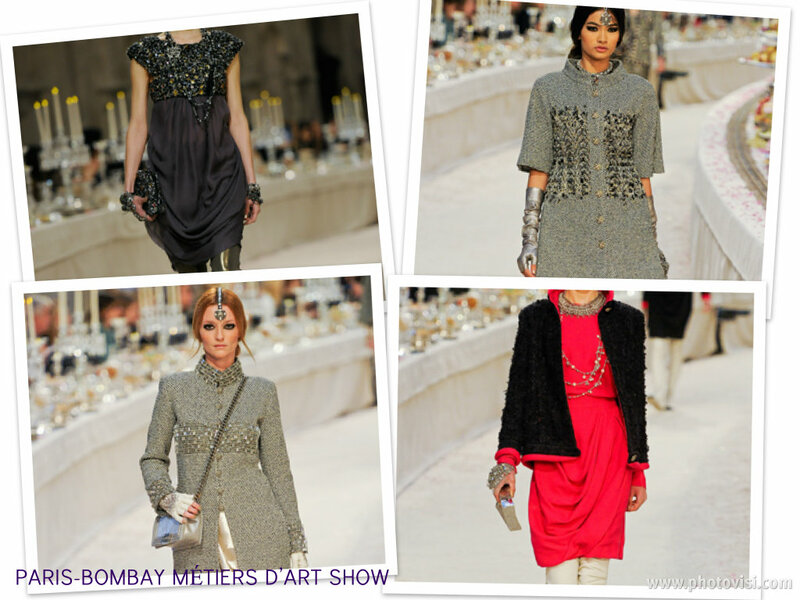 The master of his fashion craft, also referred to the English authority over the Indian dress code, as an essential element to tying in the collection together to complete his Chanel Métiers D'art Show vision. "If there's no modern touch then it's a costume show. I don't want to make costumes: Fashion is not about costume shows." 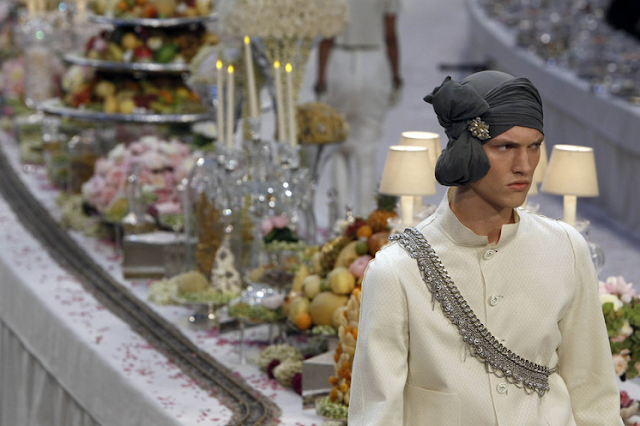 pronounced Lagerfeld, after the show. 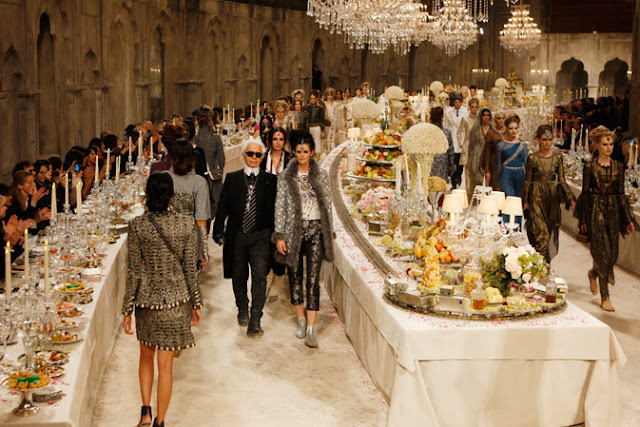 Have a watch at his interview (featured above), and some shots from perhaps one of the most palatial fashion events of this year—which took place at the Grand Palais, just yesterday in Paris—the images are spectacular in true Karl Lagerfeld fashion.